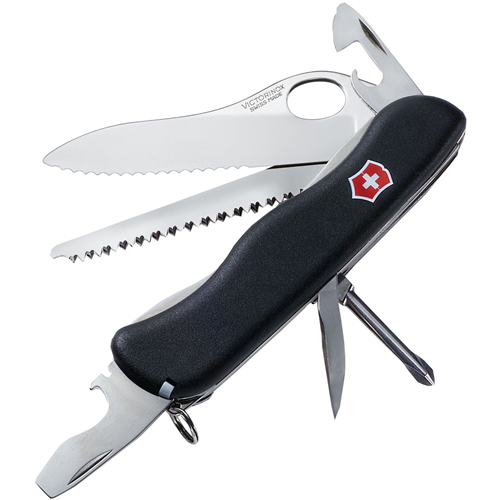 Sheathed in a locking carrying case that attaches to a belt or backpack strap, it includes a 12 component multi-tool, flashlight and fire starter rod. Every tool in the kit is outfitted with durable rubber handles for easy gripping, even with gloved hands. All of the multi-tool features are locking - needle nose pliers, wire cutters, wood saw, pierce, scissors, partially serrated blade and more. Overall Length: 6". Closed Length: 4". Weight: 11.14 oz. Gerber Camp & Hike Survival Tool Pack 31001047. Sheathed in a locking carrying case that attaches to a belt or backpack strap it includes a 12 component multi-tool flashlight and fire starter rod. Every tool in the kit is outfitted with durable rubber handles for easy gripping even with gloved hands. 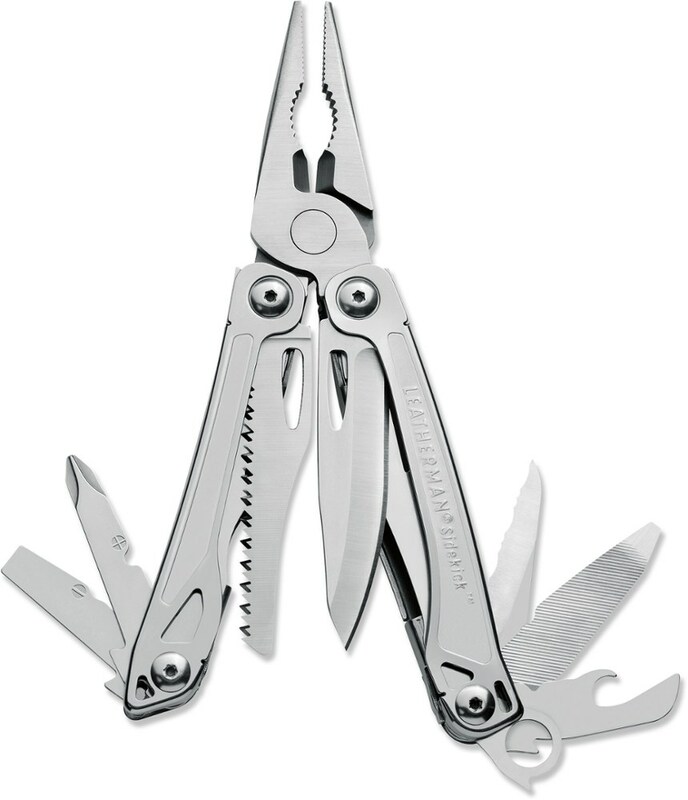 All of the multi-tool features are locking - needle nose pliers wire cutters wood saw pierce scissors partially serrated blade and more. This is the all weather workhorse of the Survival Series. Overall Length: 6 Closed Length: 4 Weight: 11.14 oz. 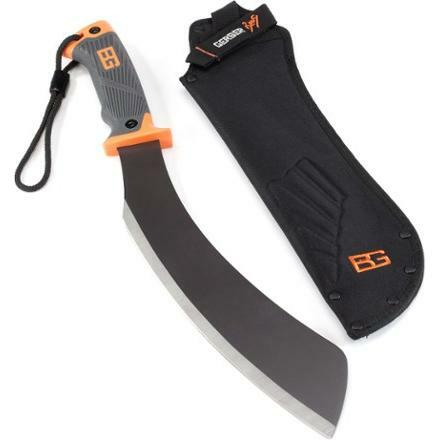 With the Gerber Bear Grylls Survival Tool pack, you can venture into extreme conditions well prepared with a full quiver of handy and essential implements. Sheathed in a locking carrying case that attaches to your belt or backpack strap, the pack includes a 12-component multitool, flashlight and fire starter rod. 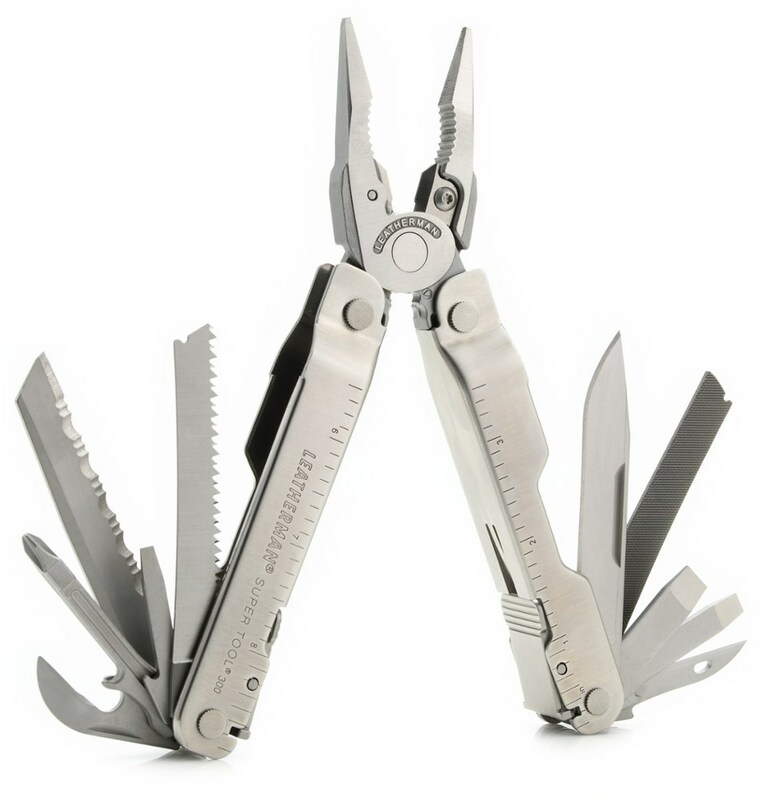 Multitool includes standard and needle-nose pliers, file, wire cutters, partially serrated blade, saw, 3 screwdrivers, bottle opener, scissors and awl. A mini flashlight, firestarter rod and locking case round out the Gerber Bear Grylls Survival Tool pack's handy features. 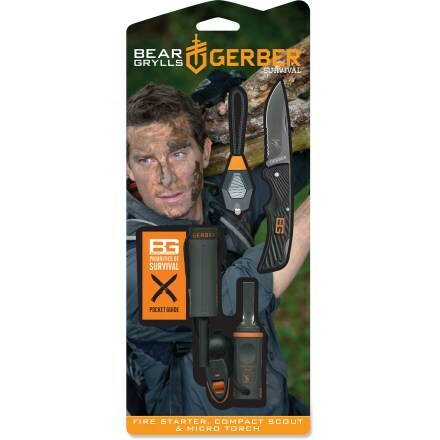 The Gerber Bear Grylls Survival Tool Pack is not available from the stores we monitor. It was last seen January 12, 2018	at CampSaver.com.